"I’ve been involved in the accounting and tax world for the last 18 years in a variety of public and private accounting positions. After graduating from Northwest Nazarene University with a Bachelor’s degree in Accounting, my career started at Nordstrom in downtown Seattle as a staff accountant. 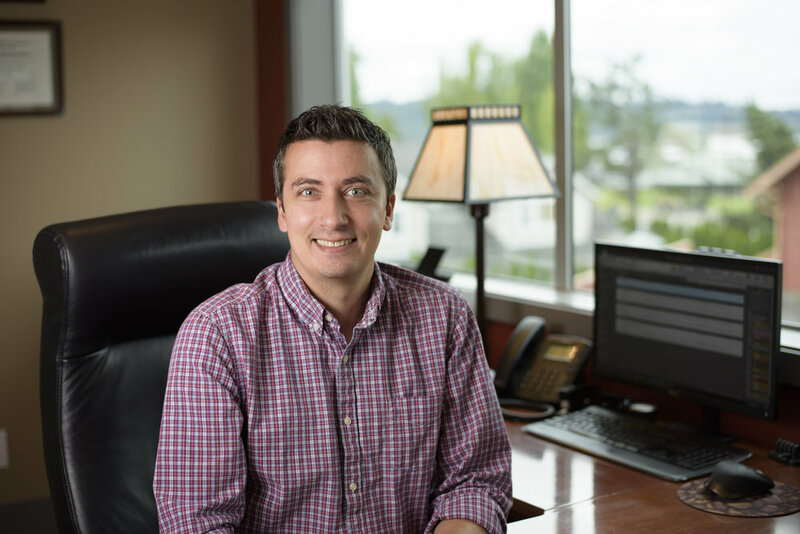 Commuting via bus and ferry (and the 12-hour days) got old after a few years, so I took a position at a local CPA firm in Bremerton and specialized in business and non-profit audits, as well as business taxes. After about 4 years there I accepted a position as a controller for a Tacoma-based real estate development company. As you can probably imagine, that company fell on hard times due to the real estate bubble that burst in 2007, and I moved back into public accounting in 2008 and started my own CPA firm. In early 2012 I had the desire to expand my CPA practice, met up with Frank and we completed the actual firm transition in the summer of 2012. I continue to build on the legacy of Frank's practical and excellent service and advice to his clients while bringing in some new ideas and processes to help us adapt to the changing business and economic environment now and in the future."